On this page you will find a range of videos to help you discover more about the Tantric School of Healing and Awakening. You will find videos here that will help you understand Tantra, the thoughts of experts in this field and the success stories of those who have experienced Tantra with the Tantric School of Healing and Awakening. By ticking this box & completing this form you are consenting to us sending you information on our services. Locate a Tantric Therapist near you GET STARTED! I will look back on my tantric journey experience as a fundamental turning point in life. What Mal teaches is so powerful and so necessary for healing physically and emotionally. This work is utterly profound and life changing, I will be forever greatful to Tantric journey for the healing and love that has made me whole again. The introduction evening was really very good quality. The talk was fascinating and Mal very knowledgeable and passionate about his subject. I am really inspired to do the training and get involved in this type of work. Just back from Module 2, learning absolutely profound Tantric Healing Bodywork, life changing powerful beautiful, challenging and empowering. Highly recommended!! 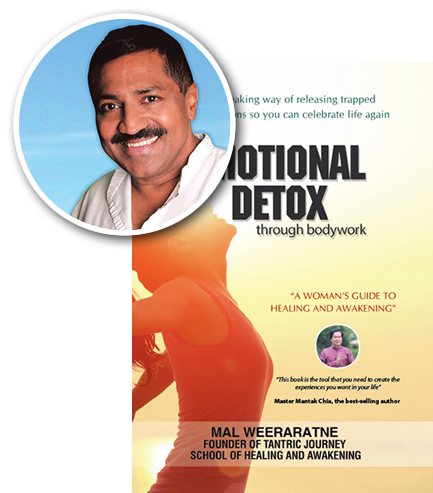 My session with Mal was very healing and transforming. I am grateful to be able to heal on such a deep level. A very profound and emotional experience, thank you for your kindness Mal ! A well-structured session and very professional which reached the objectives. Mal is walking his talk, easy to connect with and has a lot of integrity. I trust him and his approach.